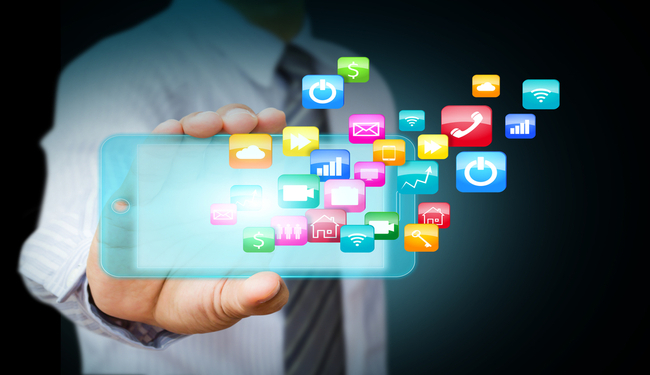 Outsourcing the mobile app development project can make you act as a project manager. It can help you manage all essential aspects of the development project from a significant distance so you can add up enough time to other essential areas of your business. Here are 5 essential steps to consider while outsourcing the right developer. Be precise about what exactly you want from your mobile application. If you are not clear, you will be unable to communicate with the developers you want to outsource. So, spare some time researching, and note down quite precisely what exactly you require your mobile application to do. Do you want your app Own social media integration? Own a specific login feature? If yes, what are the features? Own a free or lite version plus a premium version of the same? Be compatible with any platform? – Google, or Android, or iOS? Be native or cross platform? Once you resolve the above mentioned research, start looking for the developers to carry out your mobile application development project. Getting clear with the step one will help you narrow down what you would exactly get from the developer you partner with. Taking your second step forward, look for the developers that have the expertise in creating the kind of app you wish for. For example, if you want an iOS compatible app, you will need to hire an iOS app development company, whereas if you want to develop a game, you will need to outsource mobile game development experts. The internet has made the procedure of finding app developers quite easier. One of the simplest ways is to set an advertisement on the freelancer boards, where the eligible experts can bid on your job. You can put up a set price and a description of the project and also the qualification you want to have with the developer. Most importantly, be clear about your mobile app requirements and about your expectations from the app developers. So, make sure, you tell them everything, – your expectations, the app platform, its features, etc. When working through freelancer boards, you might get bids within a few hours of posting. Rather than jumping the gun and hiring the very first developer, give the posting a couple of days to mount up prospective bidders to lend their hand on your search for an experienced app developer. Whatever board you use to post your requirement, make sure you don’t fail to read up the developer’s history. Nothing else but, contact the prospective developer if get an insufficient profile or even if you require some more information. To outsource iOS or Android mobile app Development Company, it is imperative to get to know the company accurately before signing. With the help of instant messaging programs you can easily communicate with the developers that are interested in working on your project. Video conferencing can also be one of the key options that can help you accustom with the developer and get a little hint you won’t be able to acquire via other sources. Why waste your valuable time waiting around for return email to your queries when the messaging platforms are there to converse and get your queries addressed immediately. There are many things you need to consider in a developer, but communication is one of the most valuable skills. The developer you partner with should be easy to understand and should understand you easily as well. Ask the developers, interested in working your project, about their past projects and their experience as an Android or iPhone mobile app development company. Examine their testimonials from past clients and their portfolios. You would for sure prefer to hire someone who behaves responsively. Set up an interview via online messaging platforms like Skype and see if the person hooks up with you at the time fixed by you both, and if the developer doesn’t connect at the time agreed, this means maintaining commitments might be a hassle for the person. The developer who is interested in bidding on your job, might bid higher than what you have set for an initial submission for a developer. Don’t reject the bid higher than what you put up initially, since the developer might own a valid reason for bidding high. Be open to negotiate. If the higher price is within a valid reason and the developer is capable with the qualifications you are expecting, move the bar upward and take the bid. Put up your hand to pay out what the other party is worth and have a comfortable time partnering together. Milestones will be the estimated peak in your project where the specific tasks should get completed. Milestones will help you know where your project stands. So, once you pick out the right person for your mobile application development project, discuss essential milestones. If you don’t wish to set milestones, maintain a connect calendar which will make the developer get in touch with you on specific dates right through the project and provide you an updated status of your project. It is completely up to you, whether you set milestones or maintain the project schedule calendar, important is to be clear with your expectations in the beginning. This will help your developer know what you need and when you want it. Milestones and Timelines also help you approve each single step of your project. Remember, it is your project, so your approval should be a necessity for the developer. Be attentive with your research while finding a reputable iOS or Android mobile app development company to work on your project. Don’t get eager to complete your project. Take sufficient time to evaluate ideal prospects until you get the perfect person to complete your project to your satisfaction.